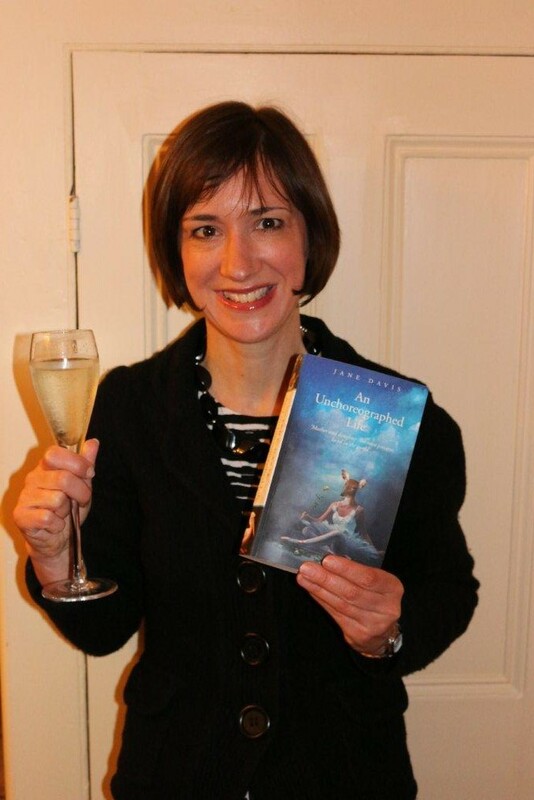 I first encountered Jane Davis through two other indie author friends, Dan Holloway and Rohan Quine, when they featured on her blog, and met her for the first time in real life at the London Book Fair last month. We’ve become good friends via the internet, swapping tips,connections and opportunities, which funnily enough chimes precisely with what she has to say in this interview now. And so, after my novel I Stopped Time appeared in The Guardian’s top 30 reader recommended list for 2013, I tracked down all those authors whose names appeared alongside mine. Authors like Linda Gillard, JJ Marsh and Rohan Quine. Most were extremely pleased to hear from me and I think only one turned me down, but that was because he was too busy. For most promotional marketing activities, it is difficult to measure results, because there is almost inevitably a time lag. Not so with the author interviews. I soon found that authors I interviewed were returning the favour. Reviews appeared. Recommendations. A simple ‘I am currently reading’ post on Facebook. Joanna Penn calls this ‘Social Karma’ and it really does seem to work. Jane Davis: If I have read a book written by an author, or if the interview is quite a coup, I draft a personalised question set. If I don’t know an author’s work (and I’m afraid I don’t have time to read all of the books that are the subject of the interviews), then I send out my standard question set (which is a document I am constantly refining, based on trial and error) with a set of written instructions. Jane Davis: Even if you have a creative writing MA, the only way to learn how to write a novel is by doing it. I wrote my first novel for the sheer hell of it. I wasn’t aware that there were any rules. It was only when I began submitting my work to structural editors and agents that I was told ‘But you can’t do that!’ And every time I was told that no-one was accepting books written in the first person, I discovered a new novel that was written in the first person. Every time I was told that you can’t switch point of view, I found authors who did just that. And so I have found myself at home among the rule-breakers. I find it fascinating to learn other writers’ approaches. Indie authors are refreshingly honest about their successes and their failures. What drives them on. Their inspirations. And, of course, there’s the techie side, which can be hard work for a luddite like me. I have picked up a number of hints along the way – even if it’s that I don’t have to be doing all of this stuff myself. Best of all, on arriving at the London Author Fair, standing in the coffee queue, I had struck up a conversation with a trade-published author, and people kept on coming up and introducing themselves. They recognised me. My new author friend’s reaction was amazement. ’How do you know all of these people?’ When I was trade published I also felt very isolated, so I empathised. But the answer is very simple. It doesn’t take an awful lot of effort to reach out. Online friendships are the strangest things. The London Book Fair felt like a reunion with old friends, even though I’d never actually met some of the authors before. Since then, I am now being approached with requests and offers rather than the other way round. And they’re not just coming from other authors. I have had requests for book talks. I’ve actually been asked to speak as a social media ‘expert’, which seems extraordinary to me! The point is that by increasing my online presence, I have made myself visible. And, as we all know, visibility is key. Jane Davis: To be honest, it has all picked up very quickly. I launched A Funeral for an Owl in November last with very few fireworks. I had lost a lot of money on a book launch the summer before and simply didn’t have money to burn. Save for a price promotion (which I advertised on all of the free sites) and a Goodreads Giveaway, I relied on my existing network – family, friends, beta readers. This included Cleo Bannister (who blogs as Cleopatra Loves Books), a reader I met at a library talk. She contacted me afterwards to say how much she enjoyed my writing, so I invited her to join my team of beta readers. Cleo has been very generous in promoting my books ever since, but I had very few other interviews. The timing of the launch of An Unchoreographed Life has been a very happy accident. This time around, I had seven interviews lined up, several of which have been re-posted by other bloggers. Of these, my favourite has been with Dan Holloway, which you can read here. An interview with him is like gold dust. Jane’s complete works – so far! Jane Davis: Tomorrow? I’m still in the middle of this one. Seriously, though, I do feel as if everything I have been building on is coming together. After my fifth release, the books are starting to sell each other. Apart from reaching out to other authors, my focus is nurturing readers I hope to turn into ‘super-fans.’ If a reader has reviewed more than one of my books in the past, I might contact them and ask if they would like a free paperback. If your marketing budget is low, you are absolutely reliant on reader recommendations. 79% of readers still rely on recommendations from friends. A thank you, an acknowledgement in the books, an invitation to become a beta reader, a preview copy… most of these things cost very little. I’m told that if you have 1,000 super-fans, you never need to advertise. Jane Davis: It eats into my writing time. I used to see some of what I did – social media especially – as a waste of time. Now that I’m starting to see results, I realise it isn’t. The difficult is that if you adopt a dandelion clock approach, and when results aren’t immediate, it’s difficult to tell which activity has worked for you. Two years ago, I wrote to all the Surrey libraries asking if they were looking for authors to do book talks. I heard nothing. This year, I have three library talks lined up. The truth may be that results can’t be attributed to any single thing. If potential customers have to see your name in six different places before they buy, the same may be true of other people who can help you. My advice is to try everything. Actually, I think the worst thing about promoting your books is saying ‘It’s £8.99.’ I have no idea why. I’m selling quality products. They look beautiful. They have been professionally edited. So why is that so hard? Jane Davis: I am not a natural risk taker, so I haven’t tried advertising on BookBub or any of the more expensive sites. Now that I have some solid reviews behind me, it might be the time to try, but I’m afraid that any substantial financial outlay is a problem for me. If I can’t see a break-even situation, I usually have to politely decline. Debbie Young: Thank you, Jane, for that insight into how you promote your books – and thank you too for generously sending me two of your novels to read and review. I’ve just recommended I Stopped Time to the Historical Novel Society book group that I attend in Bristol. It’s a very topical book to read right now because part of it is set in the First World War, showing its impact on the lives of ordinary people. If anyone would like to read my review of I Stopped Time, please click here.